We’ll be honest with you, up until shortly before writing this post, we had no idea what "Gamelan" were. It’s a name that we’ve heard of many times while reading up on the Hang, and is something that is often cited as being “influential” in the creation of the Hang, by PANArt. 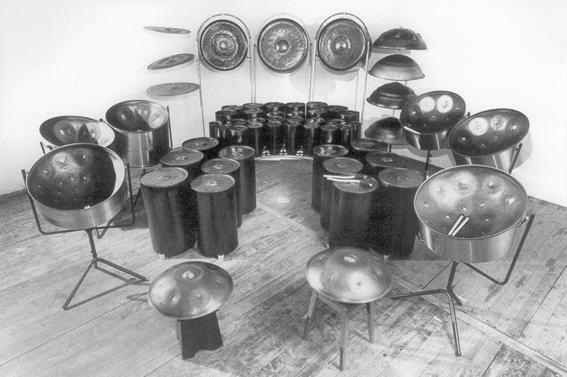 Gamelan orchestra are made up predominantly of percussive instruments - with the most common instruments used being metallophones played by mallets and a set of hand-played drums called "Kendhang" which register the beat. Though xylophones, bamboo flutes, a bowed instrument called a "Rebab", and even vocalists called "Sindhen", can also play their part (among other instrument types). 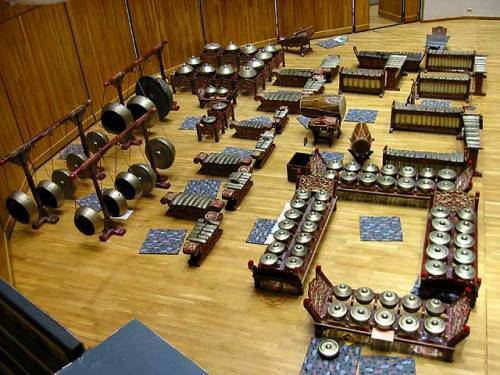 The name Gamelan essentially means “hammer”, and is derived from the fact that the base instruments are played with a hammer-like tool. And Gamelan music is usually performed for background music to shadow puppet plays, or at a traditional dance. With the Hang being somewhat like the member of the “boy-band” that went solo, making more money, and accumulating more fame, than the group combined ever would - it’s easy to forget that the Hang was always a part of an instrumental collective. While in recent times we’ve been introduced to some newer additions to the “Pang Orchestra” such as the sort-of-Hang-like "Gubal", the Udu-like, "Hang Gudu", and the Stringed, "Pang Sei" - the Pang Orchestra itself (a collection of instruments made from PANArt’s patented material known as ‘Pang’), has been around for longer than the Hang has - with earlier members of the Pang orchestra including: Pang Bells, Tubal, Orages, Ping, Peng, Pong, and Pung (photo: HERE).